Congratulations to our Texas sized giveaway winners! 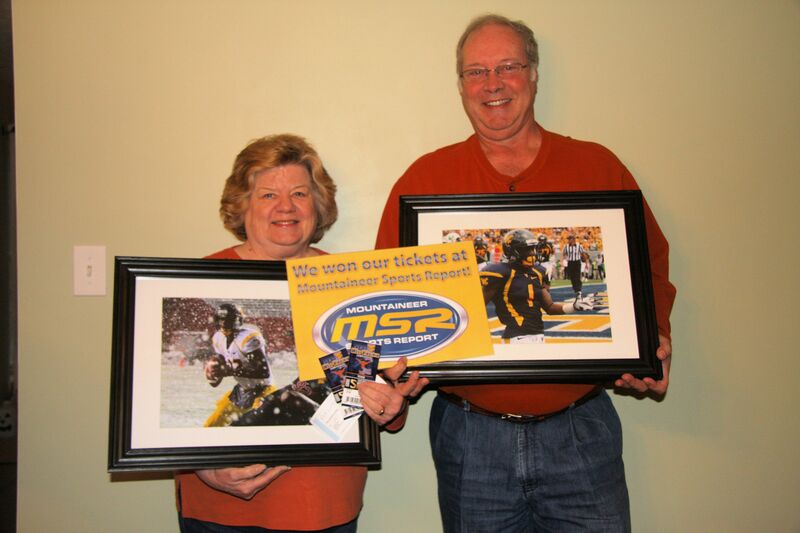 The winners of Mountaineer Sports Report Texas sized prize giveaway are Roger and Susan. They get 2 tickets for the WVU-Texas game, 2 souvenir prints, and a $50 gift certificate to Schmitt’s. When notified of their winnings Susan said “We’ve never won anything.” MSR is thrilled to break your non-winning streak and hope this is only the beginning of your new found winnings! Roger was excited with the prints saying “These are amazing, very nicely done.” We’re not sure if Susan is going to let him hang them in the living room though. And apologize for any disagreements these prints might cause. Congratulations and may you bring luck to the Mountaineers at this weekend’s game! Be sure to look for our next giveaway possibly with a basketball theme in mind. Let us know what you’d like to see included.